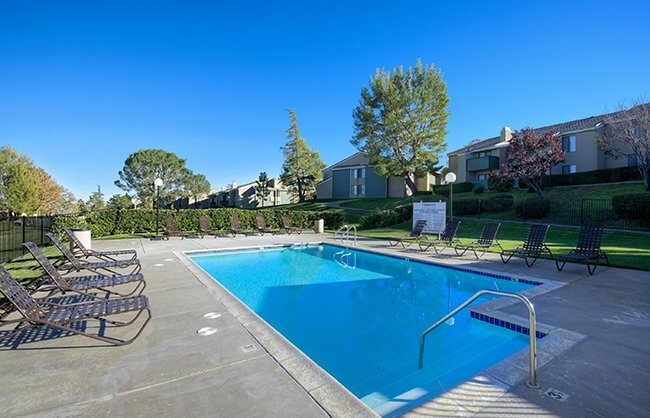 Our property includes a variety of amenities to fit all of your needs. With Two sparkling Pools, 1 Spa, a state of the art Fitness Center, a Business Center, TV Lounge, Club House, 2 Tennis Courts and 2 On-Site Laundry Facilities. At Chaparral apartments we also offer furnished and corporate apartment style living at a different rate. Each apartment home includes energy efficient appliances. All apartments are stand alone units. Your apartment home will come with a gas stove, microwave, dishwasher (select apartments), gas fireplace, private patio and or balcony and a spacious walk-in closet. We are a pet friendly community accepting small breeds with breed restrictions and a pet weight limit of 25lbs fully grown.